A 7-5 record over the last 12 games has pulled Boston within five games of division-leading Tampa Bay. Challenge to Ted Williams's home run distance record blunts Fenway victory celebration. 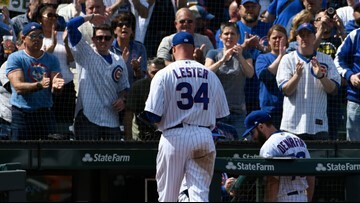 The tightness flared up in his leg after Lester scored a run from second base. 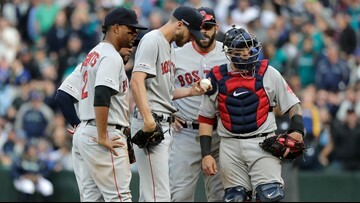 The Red Sox are off to the worst start for a World Series champion since the Marlins in 1998. 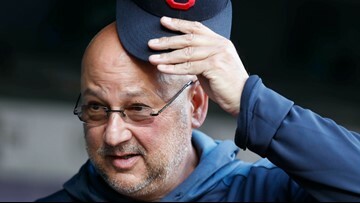 Before joining the Indians in 2013, Francona won two World Series titles during his eight seasons with the Red Sox. 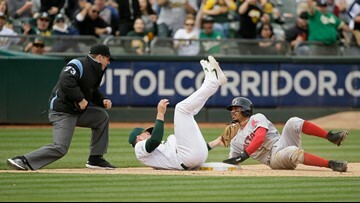 By scoring three runs in the ninth inning, the Red Sox capped off their comeback from an early 3-0 deficit. 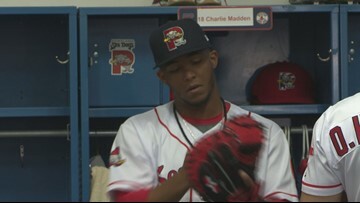 The Portland Sea Dogs play their season opener on Thursday at Hadlock Field. 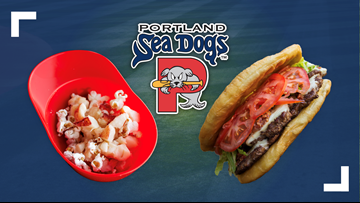 There are a few new faces on the diamond, and a few new menu items to try at the ballpark. The popcorn comes with butter. The burger comes with eight patties. 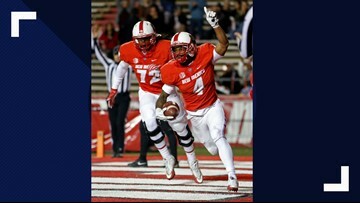 And an 11-game 'Foodie Friday' campaign pairs unique fare with local beer. Contract will let Bogey 'play it again' in Boston until 2025. The World Series champs are struggling out of the gate with only one win in their first five games. 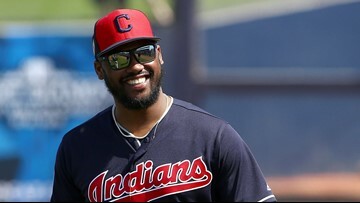 Sale only lasted three innings during which he gave up three home runs. 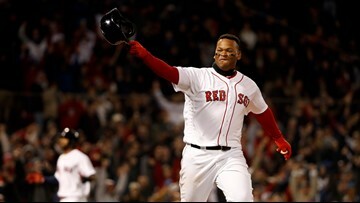 He's an MVP and World Series champ. 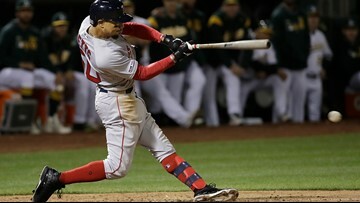 What else does Mookie Betts need to do to get more fans to buy his jersey? 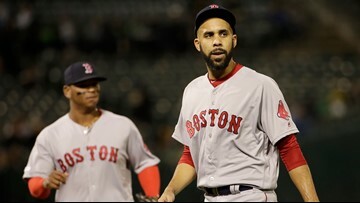 Betts ranks third in jersey sales behind Bryce Harper and Aaron Judge. The move to Cleveland reunites Ramirez with Terry Francona. 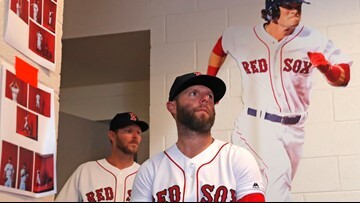 Will a new knee put the old spring back into Dustin Pedroia's step? Injuries kept Pedroia out of the Red Sox lineup for all but three games last season. 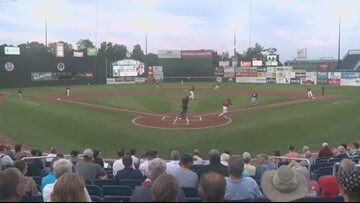 Portland's "Mainer Mondays" fall on its nine home games this summer, from April 8 to Sept. 2. 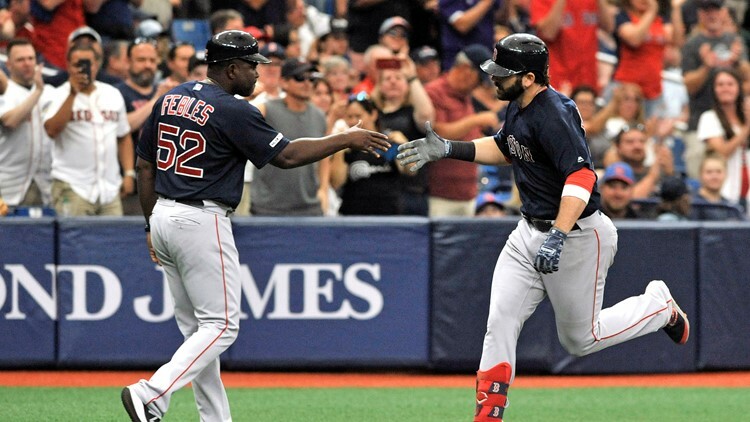 Less than a week after Boston Globe baseball writer Nick Cafardo died, the Red Sox are enduring the loss of catcher Blake Swihart's brother, Romell Jordan.